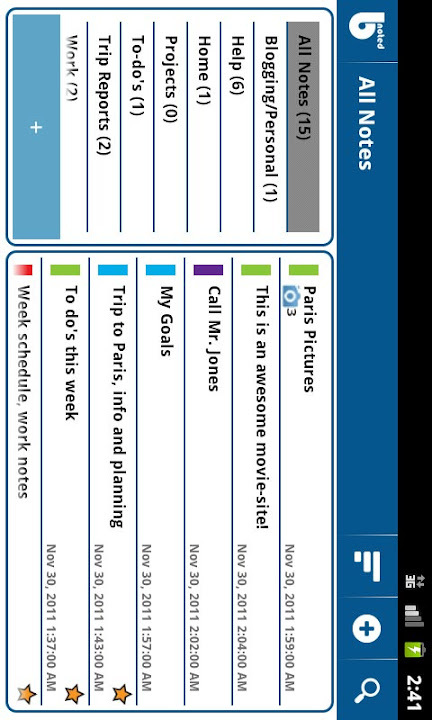 b-noted is a professional note taking application which let's you easily take all kinds of notes. 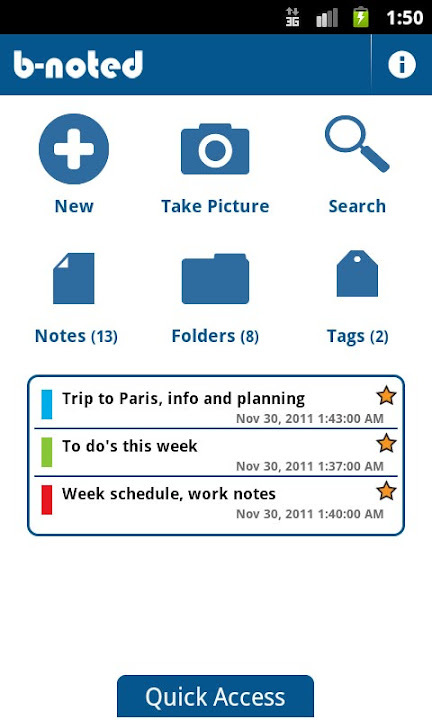 Once your collection of notes starts to grow you can organize your notes in various categories. 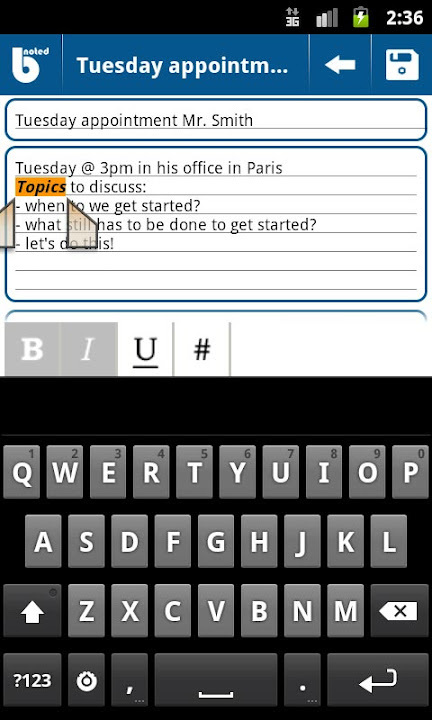 The search function let's you quickly find the note you need. Using links inside your notes you can directly jump to a webpage, call a phone-number or e-mail somebody, using your favorite e-mail client. 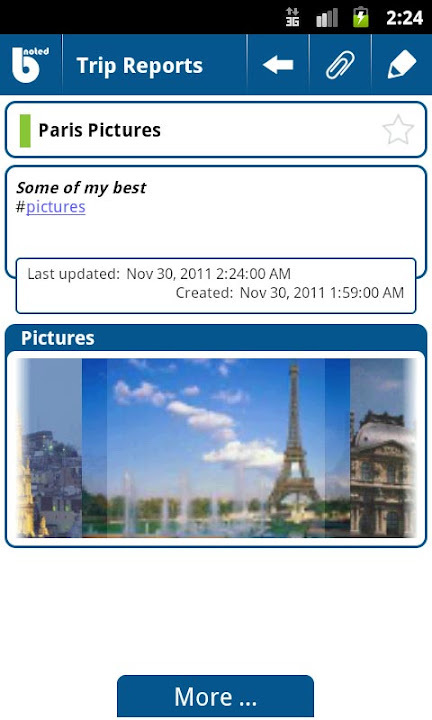 Color tagging let's you differentiate certain notes, for easy visual identification. 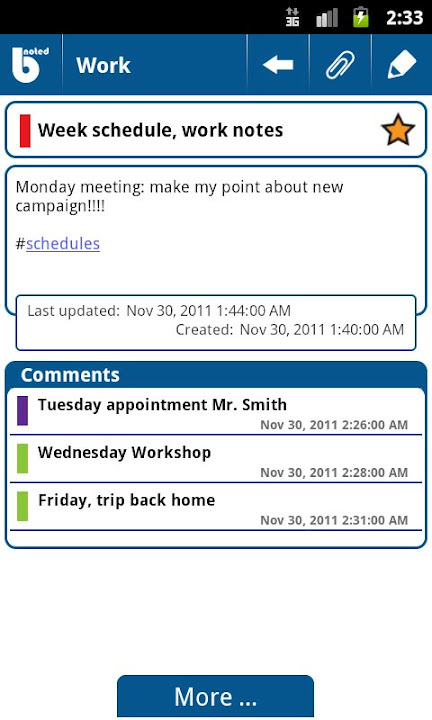 Through the use of comments on notes, you can use b-noted for advanced note-taking scenarios, like setting up a week-planning (see screenshot), using it as a travel-journal ... The possibilities are only limited by your own imagination. 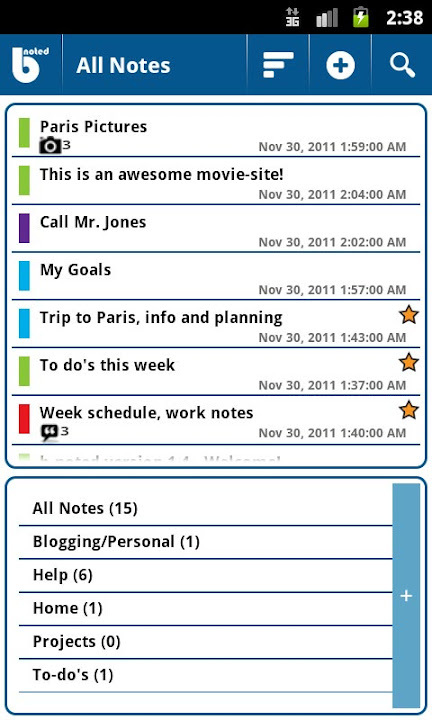 After using b-noted for a while, you'll experience that b-noted is much more than just for note-taking, you'll realize it becomes a personal information management system, which will help you in all your daily activities. This is the first upgrade. New features, including synchronising with a data-store on the internet, Google Docs, and other Google services will soon be released. So, stay tuned, there's much more to come!! !